Former Georgian President Mikhail Saakashvili has returned seven suits and a Cashmere coat he purchased with taxpayers’ money while in office. 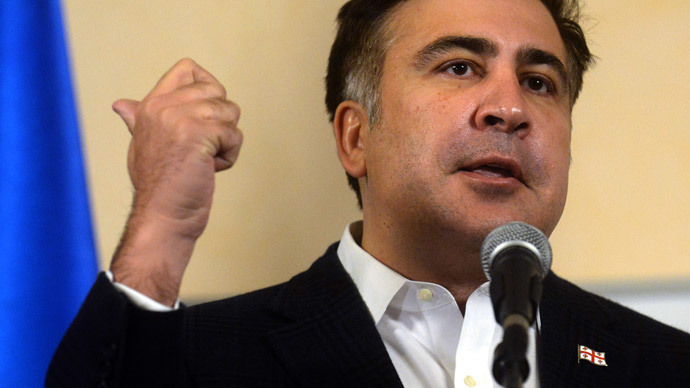 The controversial leader is under investigation into alleged corruption in his home country. The suits have been delivered from Saakashvili’s apartment in Tbilisi to the government building by courier. He left the package at the check-in after the clerks refused to take the clothes, saying they were not part of the official correspondence of the government. The package had a note reading: “Use these clothes as you see fit,” according to the Georgian media. It was not reported whether the suits included any ties, chewed or otherwise. 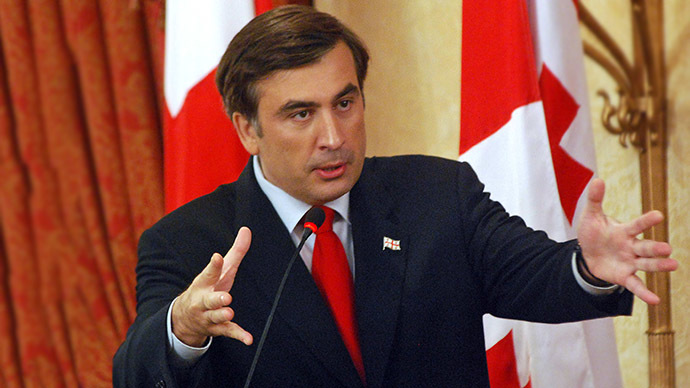 In one celebrated video clip from the time of the Georgia-Russia war in 2008, Saakashvili became the subject of widespread ridicule in the media after chewing his tie nervously while waiting for a TV interview to start. The return of the suits, which some media and politicians branded a publicity stunt by the former president, comes a week after the country’s Prosecutor General’s Office charged Saakashvili with embezzlement of budget money. According to prosecutors, Saakashvili spent over $5 million inappropriately on a luxury lifestyle. The expenditures include $450,000 spent on Botox injections and hair removal for the president and his family, with half of the money going paid for services rendered to Saakashvili, they said. The clothes returned to the government were also mentioned. The former president, who left Georgia in 2013 shortly before his term expired and is currently living in the US, dismissed the charges, saying that the expenditures were needed to enhance Georgia’s image internationally and attract foreign investment. Saakashvili, who came into power in Georgia in 2004 after leading a public uprising ousted his predecessor, the late president and former Soviet foreign minister Eduard Shevardnadze, saw his political power dwindle after the disastrous August 2008 military campaign against the breakaway region of South Ossetia, which was stopped by Russia’s intervention. His latest political action included the support of this year’s anti-government riots in Kiev. Georgia’s new leaders are also investigating him for alleged abuse of power in November 2007, when his government suppressed mass protests in Tbilisi. 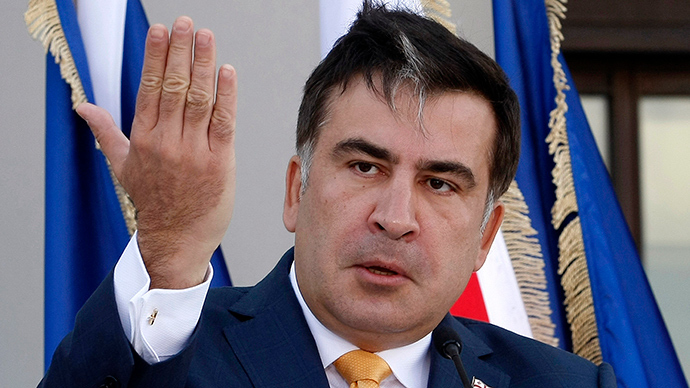 Saakashvili says he is a victim of political persecution in his home country.